Competing in motocross competitions is every boyhood dream. It doesn’t stand to wonder why motocross is one of the most popular amateur motorcycling pursuits in the country. If you are new to the sport of motocross or it’s always been a lifelong dream to turn pro, here are five simple things you can do to get involved. The first step to serious endeavor is to devote yourself to it without an outcome in mind, solely for the reason of getting better. In the field of motorcycle racing that means getting out on the track and the trails as much as possible. It doesn’t hurt to have a group of friends who are also obsessed with pursuing their passion of motorcycle racing. That way you motivation and most importantly, some support. Even if you are not at the stage where you feel comfortable entering a competition, it’s still a good idea to be aware of the competitive organizations and the contests that are out there. In this way, you have a reasonable expectation for yourself heading in. When it does come time to compete, being familiar with the annual schedules of armature competitions will help you put together your plan of attack. The most common amateur motocross circuits out there are MX Sports and American Motorcycle Association. Sure, in order to mount a successful motocross career you are going to have to go after sponsorships. But for the time being the most important thing is winning. From there, sponsorship will come. If you put results on the board, you will have a much better chance of scoring a sponsorship than if you stress out about it and compete poorly. Granted, motocross is an expensive sports, so you better understand that as well before throwing your hat into the ring to begin with. These days athletes are extremely well rounded so it might seem like old news for motocross athletes to be reminded that it’s important to work the whole body. Riding a dirt bike is one of the most physically demanding sports in the world. It pays to have strong core muscles as well as arms and legs. 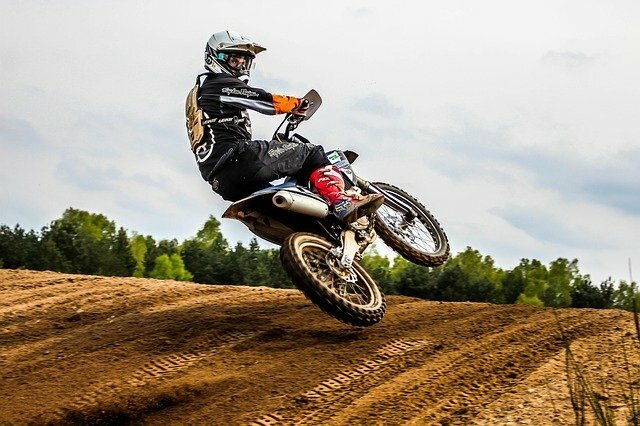 So if you are looking to rule the leader board on the motocross circuit, you must be sure to workout your entire body and institute a complete exercise routine. Like all things that are up to skill and determination, it’s also important to have a positive attitude and remain loose. There is a lot of pressure in racing conditions for the outcome to end up the way you had in mind. Performance will be directly related to mental outlook, which makes it that much more important to stay positive. Ask any golfer or basketball player, keeping a positive mental attitude is paramount to success, motocross is so different.